Would you pay $26 to see Lin-Manuel Miranda in Hamilton on Broadway, live? I know few Orange County friends who love opera, let alone are willing to see one. This may be because Orange County has few operas. I’ve been looking! The Segerstrom Center for the Arts has some performances, but Costa Mesa is pretty far. Moreover, it only has concert performances (full shows done without staging or costumes in front of an orchestra). Recently, I discovered my favorite opera, Carmen, broadcasted live for free on the Santa Monica Pier from the LA Opera. The LA Opera is the grandest local opera house, and witnessing something this professional live was moving. Dancers were hired from the depths of Spain for a genuine Spanish vibe, and costumes shimmered and poofed in all their Spanish glory. Tickets are at least $90 for a “cheap” theatre seat, in which performers can barely be seen or heard; free showings are unheard of! My friends and I zoomed to the pier and fangirled over the huge stage and thick French accents. The music can be found in our playlists; we hummed along the whole time. The opera is risqué, funny, and dazzling. If more people had access to opera in Orange County, I’m sure we could love and appreciate it the way this crowd did on the Santa Monica Pier. It was so enjoyable! The Live at the Met series is broadcasting full operas live from the Metropolitan Opera House in most Regal movie theatres. This is the best opera house in the country! I’ve never seen a bigger stage, and the cameras show so much detail I can see reflections in the characters’ eyes. Tickets are around $26, with over 10 operas this year! More than the average movie ticket, but very cheap compared to live tickets, often at Hamilton prices ($855+). Only internationally famous and experienced singers have been cast! If you’re an opera fan like me or are ready to behold these regal performances, please come and support the art by attending. Few people know about it, but more should. This is the same as $26 to see Lin-Manuel Miranda in Hamilton live on Broadway, in the movie theatre! The Orange County School of the Arts is also doing L’Enfant et Les Sortilèges in the spring, so look out for that! Meanwhile, I will be hunting down local operas. I’m determined to find performances in Mission Viejo! Operas can be expensive, but I’m working on finding deals so teens can experience this difficult and powerful art form at an accessible price. I’ll keep you updated! What local opera productions do you know of? Please comment to let me know! Lennie Small, a tiny name that symbolizes a big and tough man. His ultimate dream was to have innocent rabbits as loyal companions. But his obstination opposed the characteristic of a rabbit’s falter and agile. He consumed trouble instead of dinner, he didn’t want to, but that’s all he could afford. George Milton wasn’t as big as Lennie, but he obtains the stupefying ability to brush the trouble off of his glistening teeth. Suppose he was the best hypocrite ever. Always reprimands Lennie for dumping a laundry of trouble on him, but never saddened him, for he would praise this act as a wonderful dissimulation of their trail and scent. The versatile Slim whose solemn stipulation was only upon a lick of air can give the entire farm a nice and tender pat. The crude but righteous Carlson, hideous Crook who fades himself inside his self-abasement, and Candy, his bitter age really outrun his chocolate-like personality. You see the boss’s omnipotent son? Yes, that is Curley, he roars at people quietly but deadly. He is efficient but not smart, who knows how he married that abominable woman. Curley’s wife was nameless because she doesn’t deserve one. She was seditious and the voluptuousness buried herself underground. Lennie will definitely be basting her in the face just like he did to her neck when they are both sent to the grinning hell for inspection. Towards the end of the story, George, Lennie’s “legal guardian” shot him to redeem for his sins. Lennie never mean to suffocate the poor puppy, break Curley’s wrist or even kill Curley’s wife. He often trances to and fro between the angel and devil. They were the one who vexed him, you should blame them people. He can neither be responsible to the gallantry that the supreme angel offered him nor he can be responsible to the malice that the devil fed him. And George, the person that never flicked a finger against him, pushed Leenie’s soul into hell. He can never murder the devil, but the cherubic angel can’t be harmed. Time is the medicine that heals the wound and that’s for both the smiling Lennie and the weeping George. Lennie finally gets his adorable rabbits, congratulations. Of Mice and Men by John Steinbeck is available for checkout from the Mission Viejo Library. 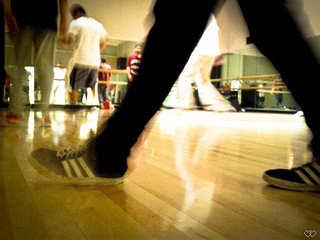 Local middle school students listen up: If you’re interested in learning the latest hip-hop moves, then sign up for the new 6-week Hip-Hop class that’s part of the Middle School Enrichment Program at the Norman P. Murray Community and Senior Center. More than 40 years old, hip-hop dance became widely known after the first professional street-based dance crews formed in the 1970s. Led by Artist Director Sharon Sandor of Sol Dance Academy, the hour-long class, which starts February 26 at 3:45 p.m., will teach students an array of cool moves, and they’ll be invited to show off their newfound skills at this year’s Arts Alive Festival and Street Painting event on May 3. Along with hip-hop, the Middle School After-School Enrichment Program features a cornucopia of courses like print making, guitar, pottery, financial basics for teens, Algebra, chess club and art. Participants must be in grades 6 – 8 to take part in the courses that each cost $25. Register online at econnect.cityofmissionviejo.org or call 949-470-3062. The Norman P. Murray Community and Senior Center is at 24932 Veterans Way, Mission Viejo, CA. Posted on May 10, 2013 by Liliana M.
Do you often find yourself wondering, what if? What if I would have done that instead? What if I would’ve taken the risk? Jessi Kirby’s latest novel, Golden, which hits bookstores everywhere on May 14, explores these questions and more. After I read about Parker Frost and her journey to discover not only what happened with the town’s golden couple that died in an accident ten years ago, but also what she truly wants for herself, I felt like I really understood Parker. It amazed me how Jessi Kirby found words to paint such a realistic world. I could visualize everything and really put myself in the situation, almost shedding a tear or two in some instances. And, the connections Kirby creates with Robert Frost and his work throughout the novel was really cool because it made the book more unique and added layers to it. But maybe, it is because I completely relate to Parker, her goals, and the way she has led her whole life that I really loved this book. The story revolves around a journal that Parker finds that leads her to making choices that she never might have had the courage to make otherwise. Yet there was so much more to the book than a girl breaking out of her shell; I felt that I learned so much from conclusions that Parker makes. Jessi Kirby eloquently states the things that we already know but ignore or are too afraid to state sometimes. The way I was able to get wrapped up in the book made it impossible for me to set aside. I was sad it was over so soon. 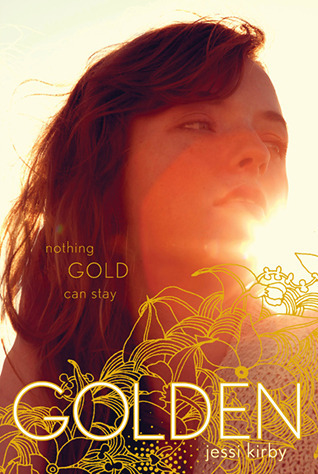 So, if you are looking for something quick and worthwhile to read, Golden should definitely be on the top of your list! And if you love plot twists as much as I do, the end will definitely catch you off guard. Enjoy! Editor’s note: This review was based on an Advance Readers Copy generously provided by Simon & Schuster. Don’t miss author Jessi Kirby when she visits Mission Viejo on Saturday, May 18th! As part of the Summer Lovin’ tour, Kirby will speak alongside other popular YA authors, Kimberly Derting, Megan Matson, Shannon Messenger, Sarah Ockler, and Suzanne Young. This exciting event begins at 3:00 pm in the Friends of the Library Storytime Room at 100 Civic Center. This free program is sponsored by the Friends of the Mission Viejo Library and A Whale of a Tale Bookshoppe. Books will be available for purchase and signing. For more information or to make a reservation contact the Reference Desk at (949) 830-7100, ext. 5105. Posted on May 2, 2013 by Kiera C.
Mission Viejo’s upcoming Arts Alive Festival, scheduled for May 4 and 5, is an amazing event that is worth looking forward to every year. It is a family-friendly art festival that features chalk art, local vendors, different types of entertainment, and a variety of food booths. The chalk art, drawn by both amateurs and professionals alike on the blacktop in the parking lot of Norman P. Murray Center, is awe-inspiring and is an example of how great art can bring a picture to life. But don’t worry if your drawing skills aren’t up to the main artists on the street– you can practice your skills on little open space tiles available for purchase with a pack of multi-colored chalk. Your art might turn out better than you think! The theme of the event varies every year and influences the subject of the art. This year it is the 1960s. In addition to the wonderful art, there are booths from local vendors that feature unique goods that you aren’t able to buy everywhere else. There are is also different types of featured entertainment, including dance and music. Lastly, an event wouldn’t be complete without lots of good food and there is always a great variety of food options available. The Arts Alive festival is an awesome event that makes art accessible and introduces it to a whole new generation. It isn’t to be missed! The Arts Alive Festival happens May 4 from 12pm – 8pm and May 5 from 12pm – 5pm at the Norman P. Murray Community Center at 24931 Veterans Way in Mission Viejo. A shuttle runs from the Civic Center on both days. Visit the official Arts Alive website for more information and to get a look at the Festival’s previous years. 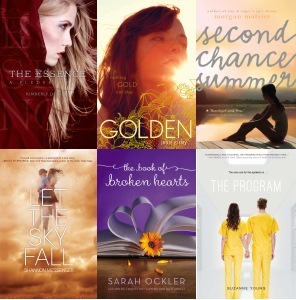 The Mission Viejo Library Teen Voice is a book blog written for teens, by teens. A group of motivated teens will share their enthusiasm for young adult literature and earn volunteer service credit under the guidance of the Mission Viejo Library’s Teen Services Librarian.